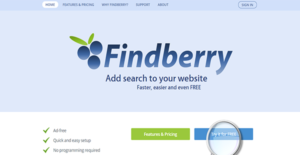 Findberry is an economical but robust internal search engine for your website. It allows your visitors to use a professional search tool that is free of advertisements and provides them with the information they need at a more rapid pace. Aside from being cost-effective, Findberry is also quick to setup. You only need to paste a simple line of code in your website’s HTML. You can even add some CSS if you want. Other than that, there is no additional complex configuration. Moreover, Findberry seamlessly integrates with your website. It looks to be a natural part of every page of the environment and not an alien standout. Though Findberry is a powerful internal search tool, it is a simple and easy to use engine. Its interface is professional and its results are relevant and comprehensive. Findberry is a very useful addition to your website. Though it is a third-party integration, it looks to be a natural part of your website once you complete setup. As such, you can maintain a smooth and consistent interface. To make Findberry a component of your website, you only need to paste several lines of HTML in your code. After you have saved the changes, you can begin customizing the solution or leave it as is for your visitors to use for their convenience. With Findberry, you have access to a slew of features that can help you provide the best search results for your website visitors. You can also use the solution’s cache of tools to enhance the user experience you offer further. Despite its robust set of features, Findberry is a cost-effective search tool. It has five paid plans with competitive pricing that can suit your needs even if you have a large organization whose website has numerous pages. And if you have a modest web presence, you can opt for the free version that is still ad-free with unlimited search queries. If you are interested in Findberry it could also be sensible to examine other subcategories of Best Site Search Solutions collected in our database of B2B software reviews. Each enterprise has its own characteristics, and may require a special Site Search Solutions solution that will be adjusted to their business size, type of customers and employees and even specific industry they cater to. We advise you don't count on finding an ideal app that will work for every company no matter what their history is. It may be a good idea to read a few Findberry reviews first and even then you should pay attention to what the solution is supposed to do for your company and your staff. Do you need a simple and intuitive app with only essential functions? Will you really make use of the complex tools needed by pros and big enterprises? Are there any specific features that are especially beneficial for the industry you work in? If you ask yourself these questions it is going to be much easier to locate a solid service that will match your budget. How Much Does Findberry Cost? Findberry has five competitive enterprise pricing options. It also has a free package for simple websites. We realize that when you make a decision to buy Site Search Solutions it’s important not only to see how experts evaluate it in their reviews, but also to find out if the real people and companies that buy it are actually satisfied with the product. That’s why we’ve created our behavior-based Customer Satisfaction Algorithm™ that gathers customer reviews, comments and Findberry reviews across a wide range of social media sites. The data is then presented in an easy to digest form showing how many people had positive and negative experience with Findberry. With that information at hand you should be equipped to make an informed buying decision that you won’t regret. What are Findberry pricing details? What integrations are available for Findberry? Findberry can integrate with your website seamlessly. If you need more information about Findberry or you simply have a question let us know what you need and we’ll forward your request directly to the vendor.